On the premiere episode of The Smart Church Podcast we welcome Rosario Picardo, a Ministry Strategist at Horizons Stewardship, and author of The E-Giving Guide for Every Church: Using Digital Tools to Grow Ministry. The secrets of successful church planting. Understanding scale and economy to select the right church leaders. Helping young pastors realize and manage realistic financial expectations for their ministry. The importance of church mentors and how to find them. How to leverage business partnerships to give back to the community and take your church to the next level. 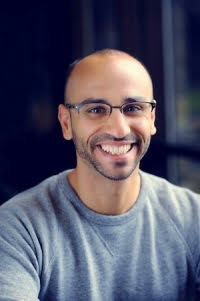 Rosario (Roz) was the founder and Lead Pastor of Embrace Church and is currently the Executive Pastor for New Church Development at Ginghamsburg Church near Dayton, OH. Ginghamsburg is one of the largest, most influential, and most innovative congregations in the United Methodist denomination. He happens to be “a very regular dude” that God has entrusted with a vision for ministering to the people of Lexington. Roz grew up in western New York as a first-generation Sicilian-American. In 2003, he earned his B.A. in Religion from Houghton College, and in 2007 he earned his Masters of Divinity from Asbury Theological Seminary. He is currently working on his Doctorate of Ministry at United Theological Seminary. Roz also spent 4 years in the Marine Reserves and 5 years in the Navy Reserves. Roz is also the husband of Callie. He first fell in love with urban ministry while attending The Rock/La Roca United Methodist Church and working there as the custodian. He eventually became the associate pastor before being called to church planting. Roz was appointed by the Kentucky Annual Conference as a church planter in 2008. He then launched Embrace Church at the Kentucky Theater, and he was ordained as an elder in the United Methodist Church. Since the launch of Embrace, Roz has had his car stolen and sold for 20 bucks, his tires slashed, his house vandalized and his life threatened because of his dedication to carrying out his call. In 2012 Roz started Picardo Coaching LLC, a consulting group that helps church leaders plant faith communities and revitalize existing congregations. Roz is the author of Funding Ministry on Five Loaves and Two Fishes. Learn more about Picardo Coaching and follow Roz on Twitter.